All of football comes down to beating your man one-on-one: block or tackle. To play the game you must be able to block the man in front of you or tackle a man in the open field. There's no cheating on the 1-MAN SLED. It's one man against the machine. No teammates to help out. Either execute the block or get knocked on your tail. Make a tackle or fall to your knees. Blocking the 1-Man teaches hip explosion, hand thrust, and body leverage. 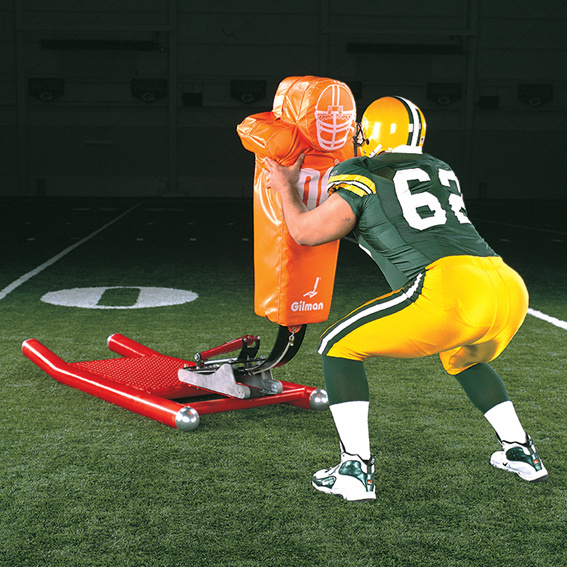 Tackling the 1-Man develops arm wrap, leg drive, and upper body strength. The sled demands second effort, boosts self-confidence and makes good form a habit. "The coaching point is to make a habit of wrapping up and driving through a ball carrier!"